Oregon’s Douglas County libraries made news in spring 2017, after a measure on the November 2016 ballot failed and the 11-branch system closed its libraries. The measure sought to create an independent tax district, a necessary resource for a region struggling to replace declining timber revenue, and would have generated some $3.8 million a year for the system. But the creation of a countywide library district, which would have established a permanent maximum tax rate of 44¢ per $1,000 of assessed property value, met resistance among a traditionally tax-averse population. Despite the support of grassroots organizations such as Save Our Libraries, the measure was defeated by a 55 percent majority. 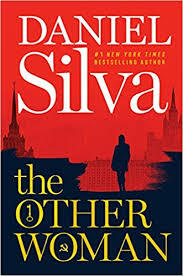 By the beginning of 2017, Douglas County Library System was faced with the task of shuttering libraries across an area the size of Connecticut. The smaller ten libraries all closed by April 1. The system’s largest, the Roseburg Library, closed its doors at the end of FY16, on May 31. 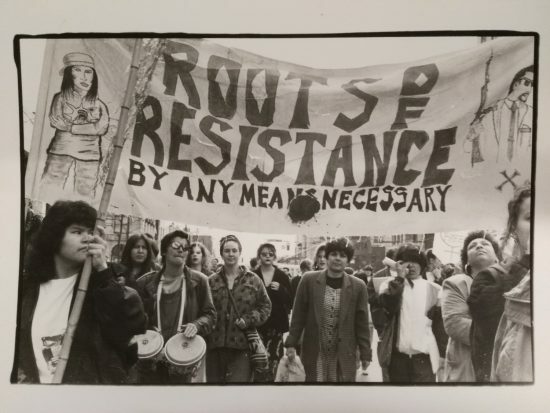 Since then, a small but loyal number of volunteers and Friends organizations have stepped in to bring their libraries back as DIY operations, one at a time. Nine libraries were revived by the end of 2017, often with smaller collections, reduced hours, and fewer resources. Several have part-time staff, but all depend on volunteer labor. The Douglas County Library Foundation has helped keep the lights on and has funded summer reading programs. Although the county retained all of its materials, communities held fundraisers, applied for grants, and collected donations to rebuild collections. 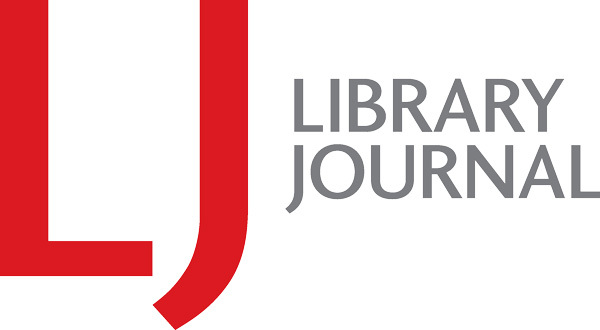 Some, like the town of Riddle, which owned the building and had held onto its computers and 12,000 books, were able to persuade the county to let the library keep them; without a shared ILS, however, when the Riddle City Library reopened in June 2017, volunteers checked items out with index cards and a ledger. The towns of Reedsport and Drain passed tax increases in May to form their own library districts. Reedsport was one of the earliest volunteer-run libraries in the system to reopen; Drain’s Mildred Whipple Library reopened its doors in early November. 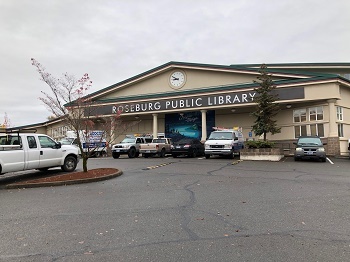 The flagship Roseburg library has gone a step further and has joined forces with the Douglas Education Service District (ESD) to renovate and reopen the original library building, which both will now share. With the help of an Oregon Community Foundation (OCF) grant of more than $100,000—including $50,000 from the OCF Whipple Foundation Fund, established to facilitate and enhance lifelong learning for Douglas County residents, and matched in part by the Ford Family Foundation—the existing building will be renovated to include a children’s library, a tween/teen library, and administrative space for the ESD. Money from the city’s general fund will help support operations. Construction began in June, and the library will hold a soft opening in late November. A formal ribbon-cutting is tentatively planned for January 10. 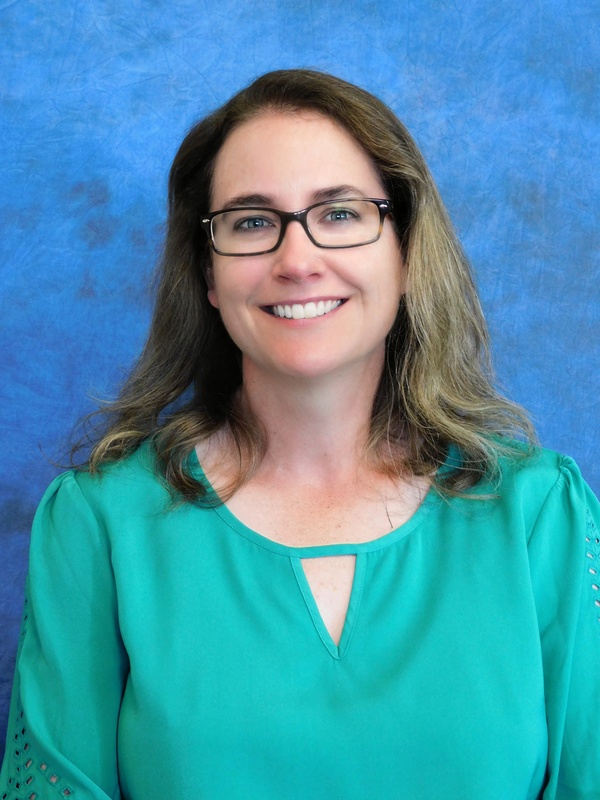 Roseburg has also hired a director: Kris Wiley, formerly of the New Ulm Public Library, MN, where she worked in programming for five years and served as director for four. Wiley will oversee three paid employees and some 50 volunteers. The library will be open 30 hours a week to begin with, closing Sundays and Mondays, although staff hopes to expand hours. 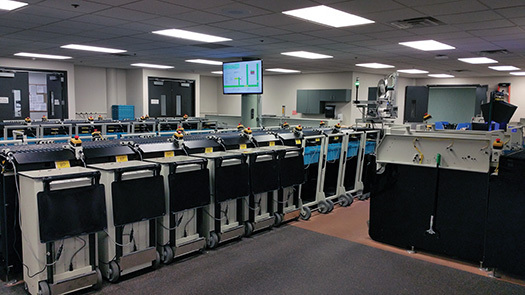 Wiley arrived in July to begin the considerable work of reopening the library. Because the library will be collocated with EDS, it has less space than before—yet is hoping to do more. “We've worked on designing the library space—where the shelves are going to go, how's it going to look, what's a good organization,” said Wiley. Roseburg currently has around 90,000 items, and will be building an ebook collection as well. 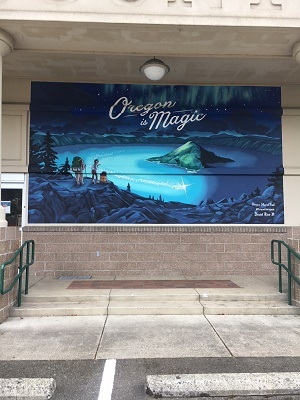 Among the library's other new features is a mural of Crater Lake at the entrance—part of the Oregon, Only Slightly Exaggerated mural trail campaign developed by Travel Oregon in partnership with the Oregon Cultural Trust. 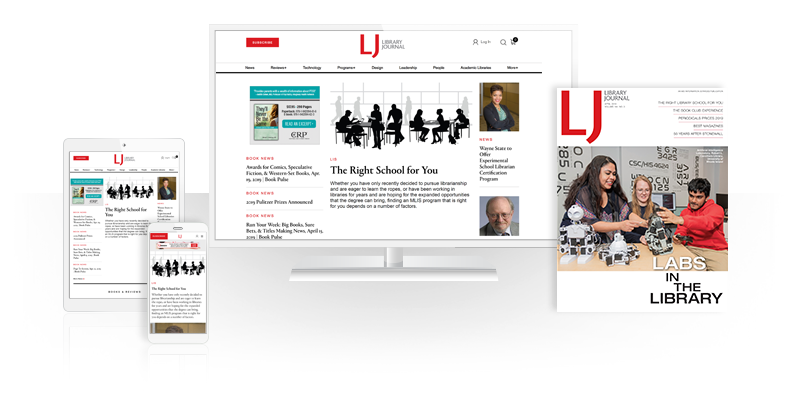 The library has hired a volunteer coordinator and is recruiting for a youth services librarian. It has also brought in Adrienne Groves, a member of AmeriCorps, a network of national service programs, to conduct outreach services for the next 11 months. Roseburg will not be sharing resources with other Douglas County libraries either—a choice that has ruffled some feathers. But each of the 11 libraries has recreated itself on a different model, leaving each functioning independently for now, and Roseburg is focused on serving a community that has committed resources, time, and energy to bringing its library back.